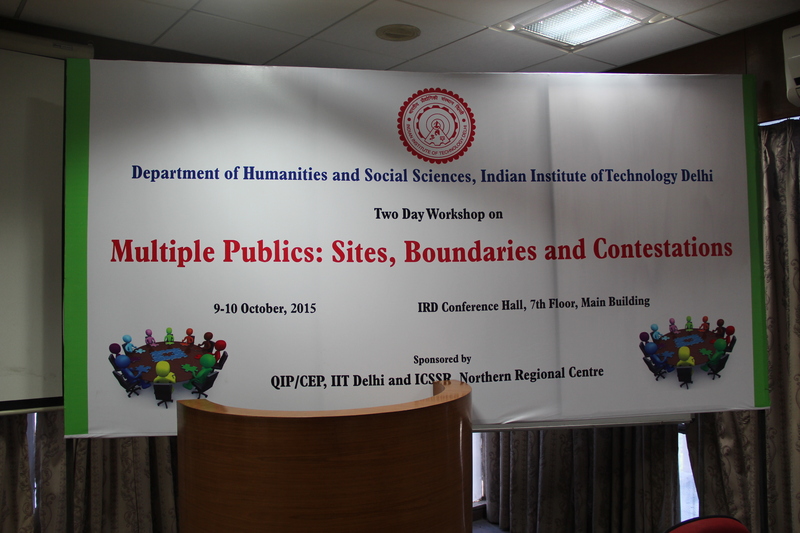 In this two day workshop, the participants discussed the multiple ways of thinking about the public. Th presenters, the discussants and the participants emphasized that we need to go beyond the Habermasian idea of public sphere to locate and theorise the public and there could multiple publics as opposed the single, homogeneous and universal public that Habermas had imagined. 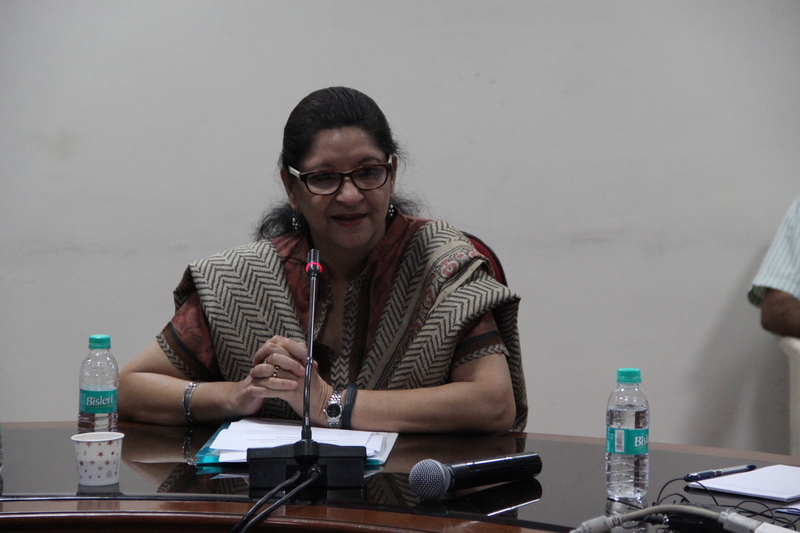 The workshop began with an introductory remark by Prof. Ravinder Kaur, the Head of the Department of Humanities and Social Sciences where she emphasised the “ethnographic vantage points” in understanding the multiple and plural publics. She urged to think about publics in the context of politics and warned us on “dangerous publics”. 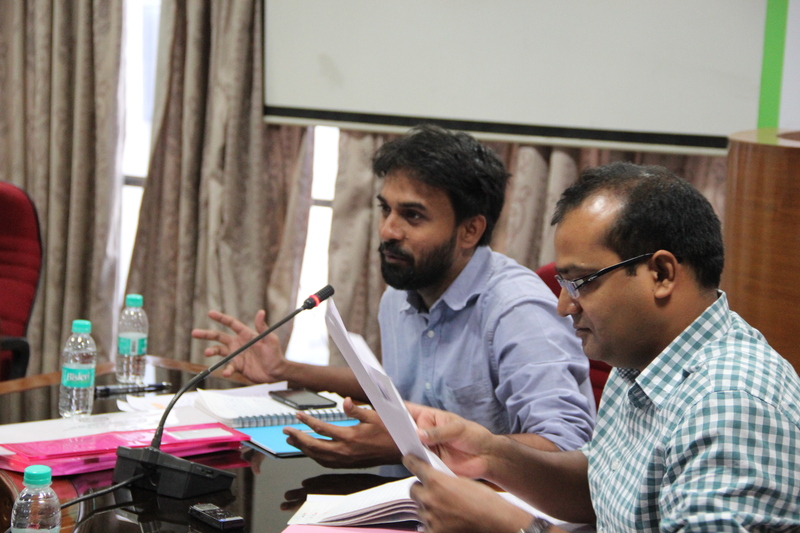 Following the introductory remarks, the workshop organizers, Dr. Sarbeswar Sahoo and Dr. Naveen K. Thayyil, introduced the workshop theme to the participants. 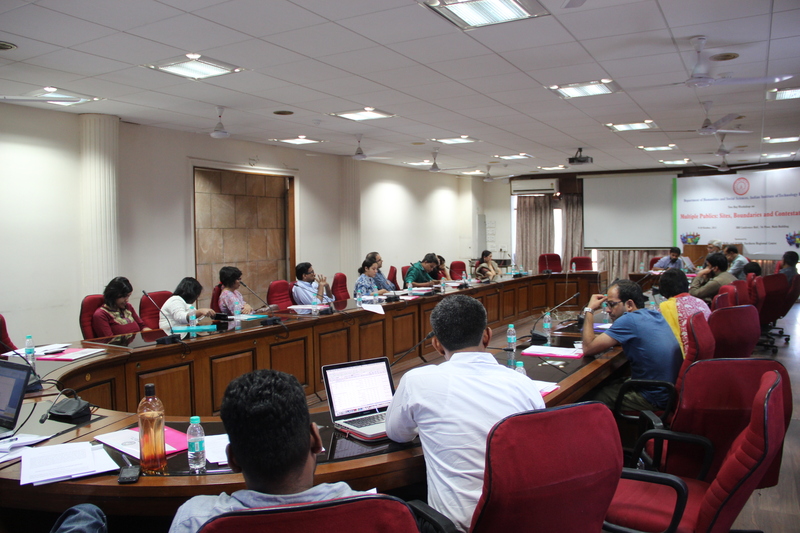 According to them, the objective of the workshop is to examine two interrelated aspects of the formations of multiple publics in contemporary India. First, we would like to examine the emergences and multiplicities of competing and contradictory publics and their role in democratic transformation of Indian society and polity. Second, in what ways do multiple discourses and strands interact with each other within specific issue-based publics? While the former provides a meta-narrative on the diversity and heterogeneous nature of public spheres in India (albeit, not as one universal sphere as Habermas imagined it to be), the latter seeks to delve into the micro-politics and complex processes of interaction, negotiation and contestation in the formation of issue-based publics in India. This was followed by an opening keynote address by Prof. Aditya Nigam who started the discussion by making a distinction between crowd and public. For him, the crowd is a monolithic assembly and the public is an open entity that respects differences of opinion. He then went onto discuss the idea of political society as imagined by Partha Chatterjee and asked what it means to be political. 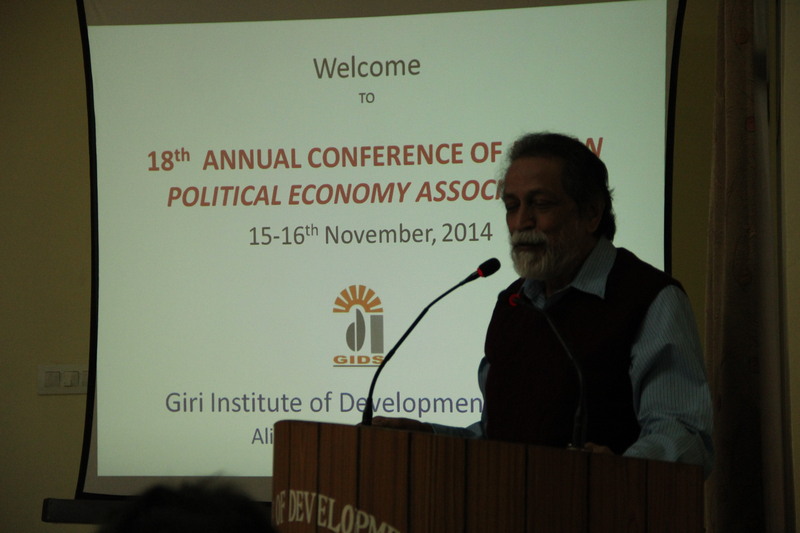 Finally, he discussed the idea of “ephemeral publics” in the context of the movement on India against corruption. Following the keynote address, Panel I dealt with “Boundaries and Green Publics”. Dr. Naveen Thayyil discussed the role of Public Interest Litigation (PIL) in the judicial process and in the formation of public sphere. The paper by Dr. Swargajyoti Gohain discussed the formation of a transnational public sphere in the context of anti-dam movements in West Arunachal Pradesh. She pointed out the global/local interaction and the transnational connections made possible through the new media and personal communication. Panel II discussed the theme of Religious Sphere and Publics-making. Dr. Shireen Mirza, drawing on Shia Muslim processions in the old city Hyderabad, discussed the formation of a “performative publics”. She demonstrated how the processions, symbols and landmarks have been central to the creation of community identity in Hyderabad old city. She also questioned the dichotomy between the sacred and the secular or the ethnic and the civic and argued that such distinctions get blurred in religious processions that are inherently attached to place-making. 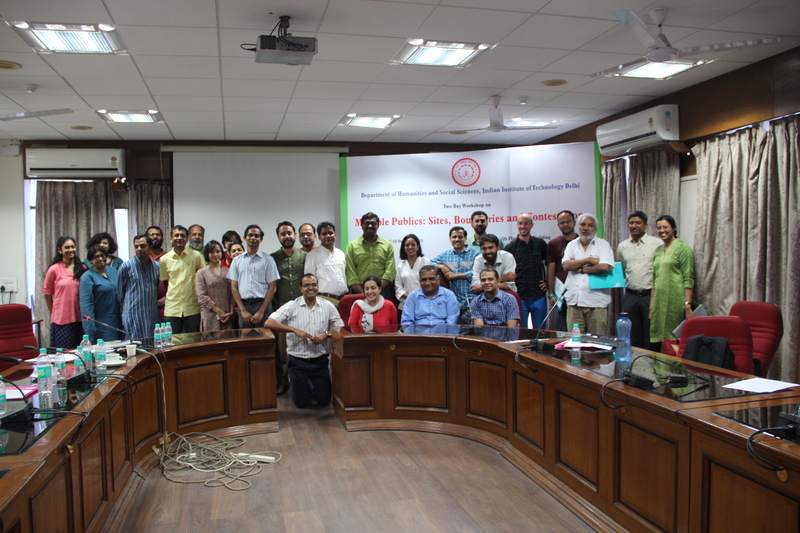 The paper by Dr. Khalid Wasim discussed how the public sphere in Kashmir has been shrinking over the last few decades and constraining the democratic political project. According to him, when the public and the political sphere get shrunk, ordinary people find alternative spaces for discussion and form public opinion. It is in this context, the sacred places such as the Mosques have emerged to provide alternative spaces for public and political discussion in Kashmir. Panel III revolved around the theme of Media, Mediation and Democracy in India. 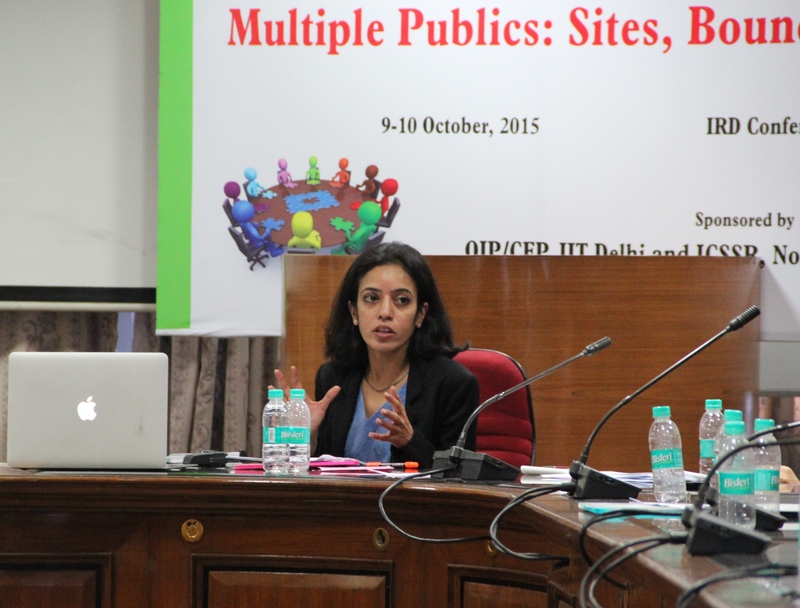 Dr. Taberez A. Neyazi discussed the role of media in the vernacularisation of the public sphere. He argued for a “mediated public sphere” and pointed out that media has helped mediate the diversity of voices in the vernacular arena. Given this, he advocated for a shift from representative democracy to participatory democracy to mediated democracy. 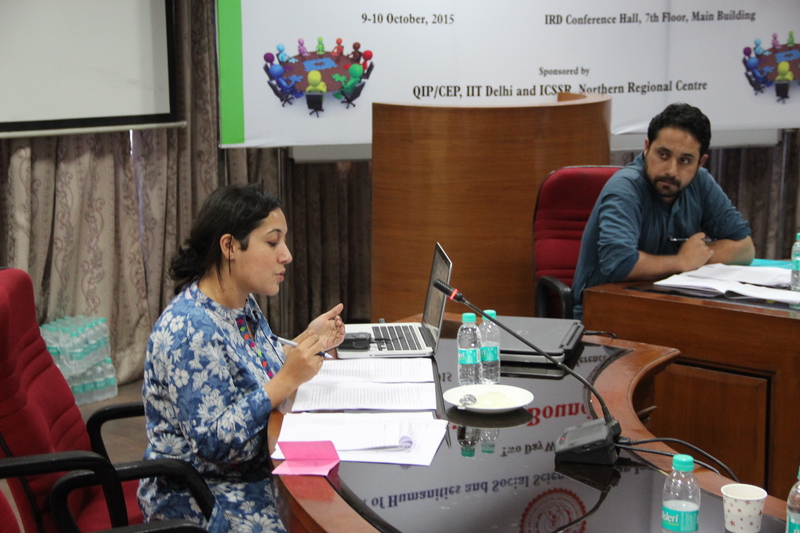 The paper by Sindhu Manjesh discussed citizen journalism and the networked information economy in India. She also discussed the limits of the Habermasian theory in explaining the cyber-sphere and the blogosphere. In addition, she also discussed issues related to access, control, agency and representation in the media sphere in contemporary India. Panel IV was based on Sites of Subalternity and Science. 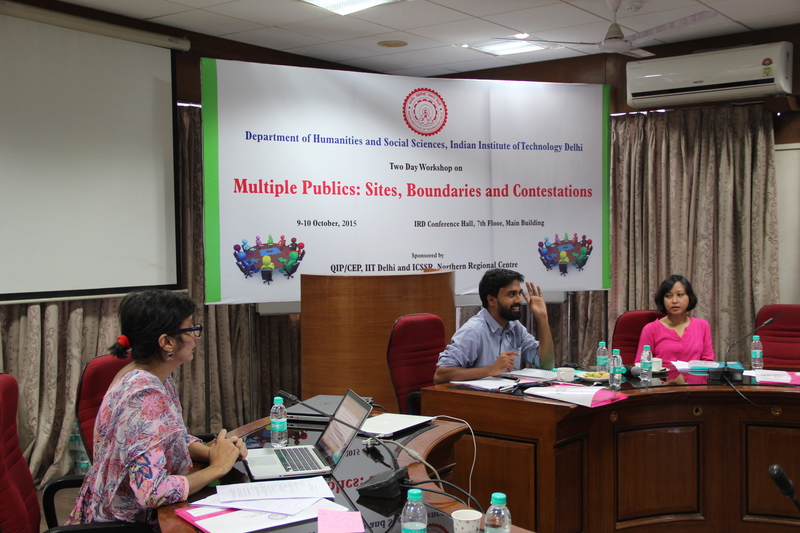 The Paper by Dr. Sarbeswar Sahoo drew a conceptual correlation between civil society and public sphere and argued for “representational publics”. According to him, the NGOs and other civil society actors can be categorised as “representational publics” as they have come to represent the interests and rights of the marginalized groups and tried to improve their socio-economic conditions by negotiating their problems with the institutions of the state. 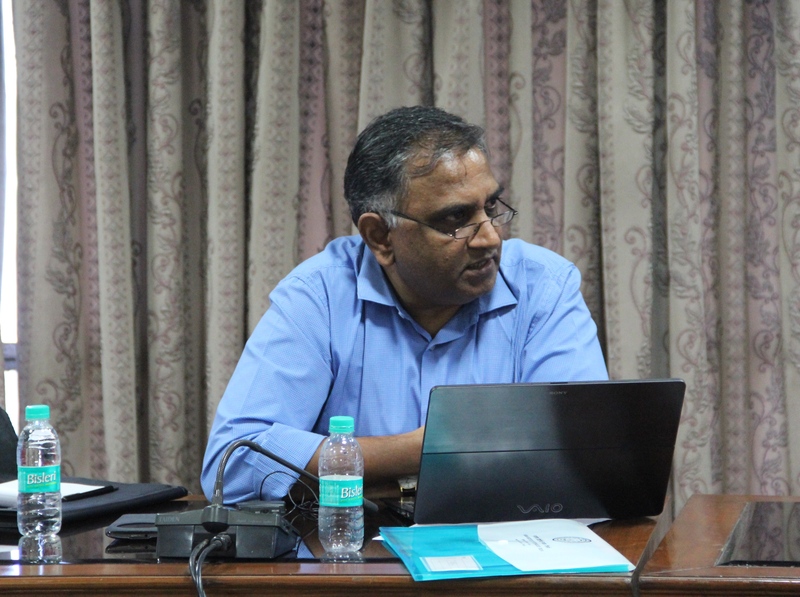 The paper by Dr. Shiju Sam Varughese discussed the relationship between science, state and democracy through the case of Endosulfan survivors. He distinguished between elite publics, quasi publics and non-publics while discussing the techno-scientific complex in India. The last paper in this panel was by Dr. Subhasis Sahoo who discussed the popularization of science and the formation of a “scientific public sphere” in India. 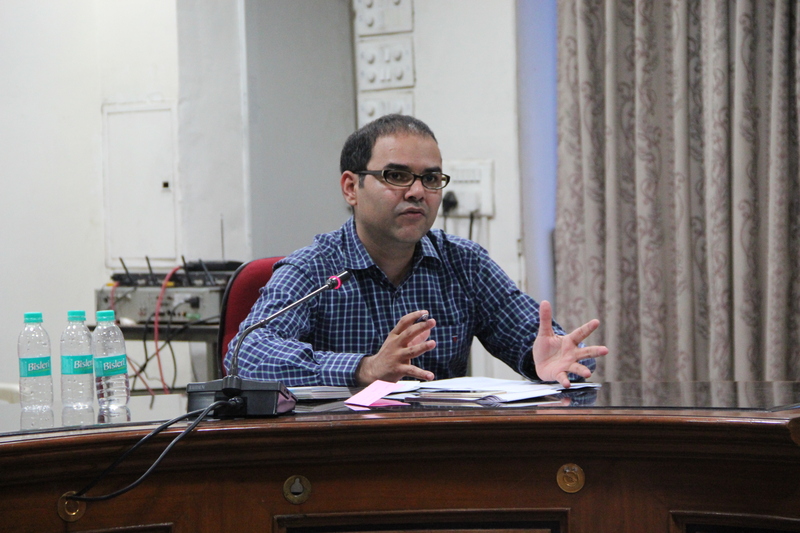 He also discussed the relationship between science and society and the medialization of science in Indian context. The closing keynote address was delivered by Prof. Sitharamam Kakarala who asked why democracy is central to public sphere. According to him, public spheres are necessary for both Habermas and Rawls who have argued for a rational-critical-discourse. Both Rawls and Habermas also discuss about the “overlapping consensus” which is the outcome of rational critical deliberative action. Prof. Kakarala also emphasized the notion of multiple publics and subaltern counter-publics and argued how Chatterjee’s idea of political society is very important to understand the processes of negotiation that occurs between the subaltern population and the institutions of state. It is in this context he introduced the concept of “mediated populism” that political society has advocated. The question is whether mediated populism is good or bad for democracy. Prof. Kakarala concludes that “populism is simultaneously capable of being extremely democratic; it also has the potential/capacity of leading to authoritarianism. Unless we take on this animal called populism, we will not be able to deal with democracy in post-colonial societies like India”. The workshop ended with a vote of thanks by the organizers. 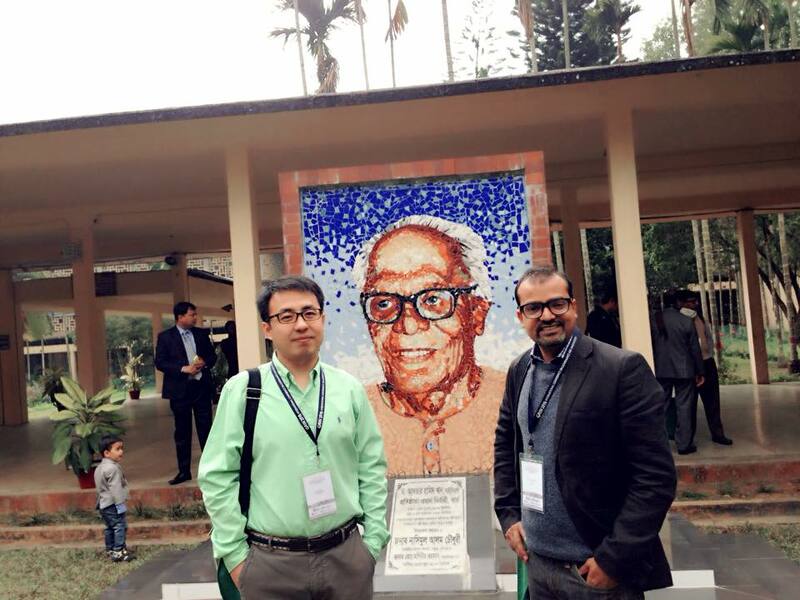 In December 2014, I participated in the International Conference on Governance and Innovation at the Bangladesh Academy of Rural Development (BARD), Comilla. BARD was established in 1959 under the initiative of the Pakistani economist Dr. Akhtar Hameed Khan. It eventually became famous for its participatory approach and innovations in micro-credit and rural development in Bangladesh since the 1960s, which later came to be known as the Comilla Model of Development. The conference was organized by the University of Dhaka in collaboration with the GAIN network. Participants from various parts of the world presented insights on governance and innovation in their countries. 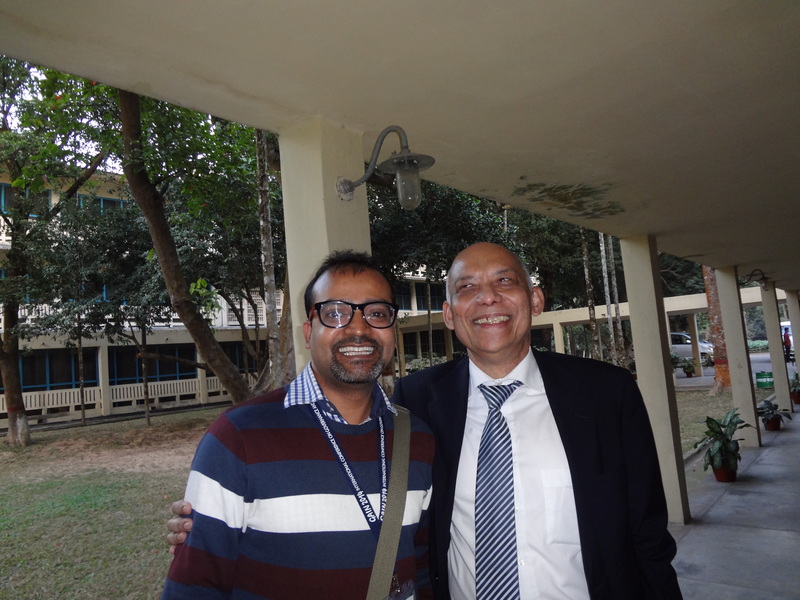 The chief speaker at the conference was Professor Subrata K. Mitra from the Heidelberg University. 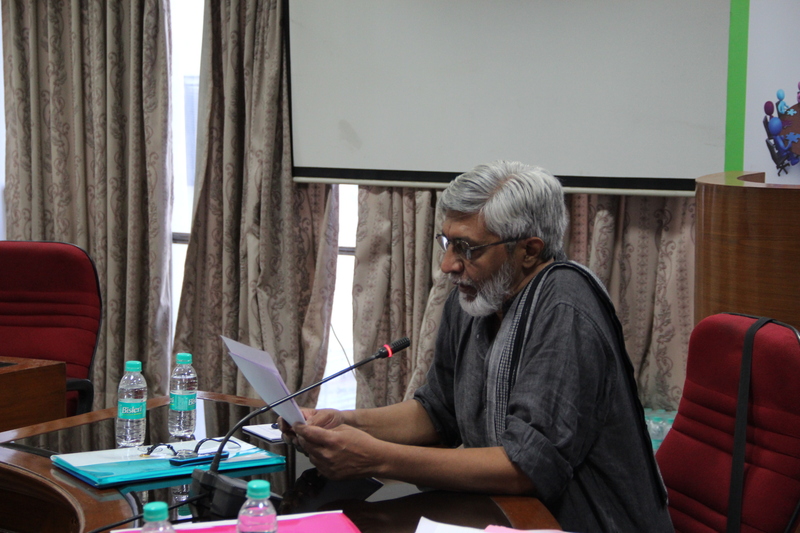 Professor Mitra spoke about some “essentially contested concepts”. According to him an essentially contested concept is that “which cannot be directly measured and on which there is no consensus”. According to Professor Mitra, governance means “rules, rule-abiding actions, and rules which are made jointly by the powerful and the powerless”. He criticized the concept of “good” governance and advocated for “multilevel” governance. For him, “multilevel governance is not just the Hobbesian state looking from the Westphalian heights with monopoly of legitimate violence but also looking down at all political arena, and wanting to combine the sovereign function of the state with the collaborative function of the state”. 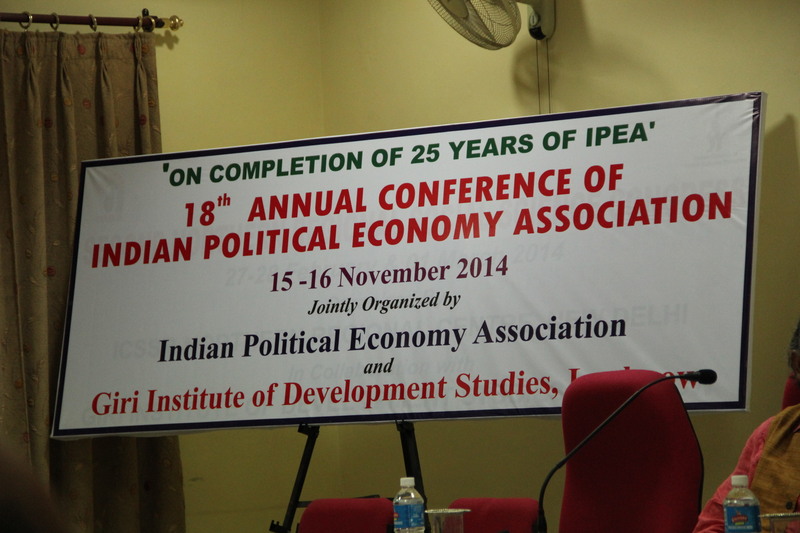 The 18th Annual conference of the Indian Political Economy Association of India was held during 15-16 November at the Giri Institute of Development Studies, Lucknow. In the inaugural keynote address Prof. T.S. Papola spoke about the Lucknow School of Economics and Sociology, especially the contributions of Prof. Radhakamal Mukherjee and Prof. D.P. Mukherjee. He very clearly showed how these two scholars who made important contributions to the understanding of Indian social structures and value systems, straddled between Economics and Sociology. 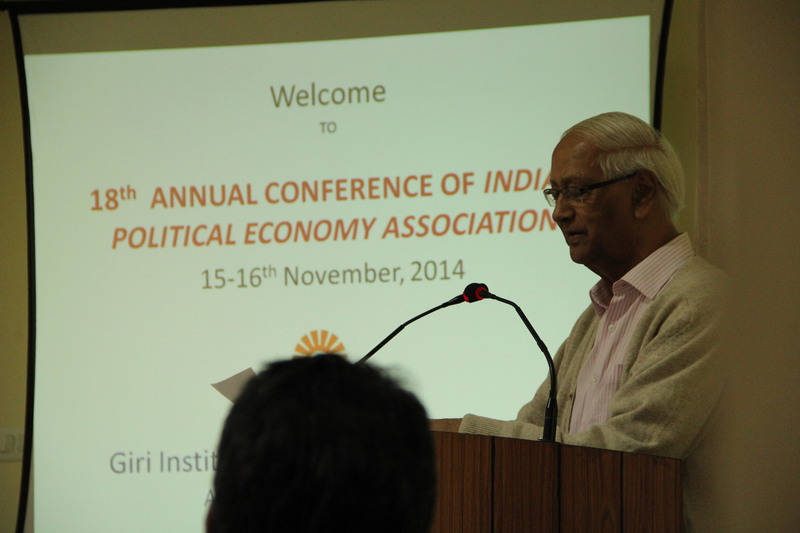 Prof. Prabhat Pattnaik, retired professor of Economics at JNU, provided a very insightful lecture on political economy and what exactly it entails. He pointed out that Political Economy does not mean a mix of economics and politics; what it refers to is a specific approach to the study of society. In particular, it tries to understand the system of production, relations between various class and historical context in which all transformations occur.